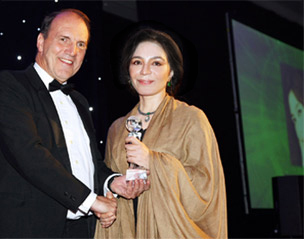 The Pakistan Power 100 is born out of a simple vision; to create one of the most important events of its kind ever to be staged which would honour only the very highest levels of achievement from within the international Pakistani community and positively promote the outstanding contribution made by Pakistani men & women on a local, national and international level. 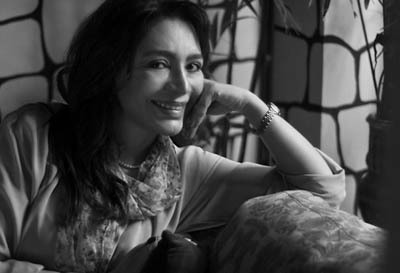 A pioneering, unique and prestigious event, the Pakistan Power 100 is the only event that pays tribute to Pakistani success across all walks of life; emphasizing inspiring achievements and highlighting inspirational role models in the fields of business, sport, entertainment, philanthropy, popular arts and culture. "That I am as always humbled to be in a position to speak for Abdul Sattar Edhi sahib, is apparent by the fact that when I wrote ‘A Mirror To The Blind', the official narrated autobiography of the Founder of Edhi Foundation, a document stamped with the Foundations seal for approval on every single page before it was published by the Edhi Foundation itself, I had the common privilege of placing my photograph above the writer's introduction….But I did not have the audacity. The man was too great for such an imposition. Introducing Edhi sahib is difficult. There is too much to say about him, I would like to stand here and read his entire book to you right now, but as that is not possible I will relate one instance that will encapsulate the relevance of Edhi Sahib to our world today. As a young boy at the time of Pakistan's independence from India, Edhi Sahib recognized that the direction the people of Pakistan was fundamentally flawed because they ‘strongly' followed a religion that they did not even have a basic understanding of….Edhi Sahib also knew that as he was neither a Muslim scholar, an Aalim, an Imam of a mosque or a Maulvi…let me clarify here that Edhi Sahib's beard is in the spirit of the revolutionaries and not because he is a Maulana, in fact it irks him to be referred to by that title. Edhi Sahib made a decision. The only way he could teach the Muslim people Islam was by a personal example. He decided to interpret the Holy Quran by the way he lived his life. That mission, however would have to traverse a lifetime….it now has. Edhi Sahib is now in his mid 90's. It is time for us to discover what exactly he has spent his lifetime teaching us. Let me clarify here that Edhi Sahib is not a social worker; he is a reformer….an agent of change. The reform that he represents is today most relevant to both, the Muslim people and the entire world. The change essential for the Muslim world today lies in the name EDHI. His example is the key to our growth, prosperity and future. The Muslim world has capitulated in only one direction…militant Islam. In the last decade Al Qaeda and its call to arms has become a household philosophy…why has nobody thought of countering it with humanitarian Islam represented by Edhi Foundation? And whereas Bin Laden has become a household name… why has Abdul Sattar Edhi's name not driven us on an alternate route? As the Muslim people have been presented with only one option, i.e. militant Jihad, we cannot blame them for not choosing a peaceful path. Therefore, let this occasion not just be an evening of entertainment, which becomes more interesting because we have a great man among us, let it instead become a decisive moment. It is time for us to carry Abdul Sattar Edhi's message forward…his lifetime service for the downtrodden was intended to one day be a universal service for world peace. Although our government nominates him every single year for the Nobel Peace Prize, it is imperative that we make it materialize. It is now our duty to use every influence we can muster to press for Edhi Sahib to be awarded for the exceptional and unique work rendered by the ONLY credible and authentic representative of our religion. We must do this for the Muslim world to have an option, for the world to recognize the true image of Islam, and to sow the seed for the future of world peace. When the name EDHI resonates, the Muslim people will throw down their arms and turn towards humanitarian Islam… It is the only weapon with which violence can be fought within the doctrine of Islam. Let me end by informing you that Edhi Sahib has not taken a single holiday in his entire lifetime, nor has he slept a single night without being on emergency call in our service. He has never taken even a token financial assistance from any government in the world including our own in Pakistan. He has refused the aid of all donor agencies including The World Bank, USAID, UN, and The Vatican to name a few. He has always and only accepted funds from the people of Pakistan to create a Social Welfare Industry, in which the people are shareholders… not beggars for charity….Instead, Edhi Sahib himself has spent his lifetime begging for us. Edhi Sahib has established a network that runs the length and breadth of Pakistan at every twenty-five kilometers. He has provided Pakistan with the largest ambulance service in the world…and in case you are not aware, when you call 115, anywhere in Pakistan, you are connected with the emergency service of Edhi Foundation… NOT the government of Pakistan. Therefore I will not ask an audience of Pakistanis to stand up and honor the most revered man born to our country…. we are all, I am sure too indebted to him to remain seated when he stands up before us.